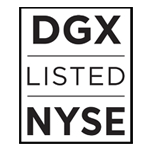 Quest Diagnostics is listed on the New York Stock Exchange under the ticker symbol DGX. 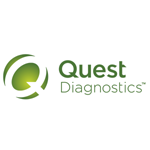 Quest Diagnostics is a component of the S&P 500. Quest Diagnostics is ranked 277 on the Barron's 500 ranking of top-performing large companies (2017). Quest Diagnostics is among FORTUNE® Magazine's 2018 World's Most Admired Companies®, our third consecutive year on the list. Quest Diagnostics is ranked among Forbes® 2018 America's Best Employers, our second consecutive year on the list. 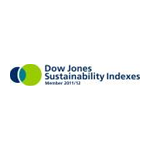 Quest Diagnostics is included in several sustainability indices, including Dow Jones World, FTSE4Good, Calvert, KLD, Ocean Tomo. Quest Diagnostics is ranked on the Forbes® 2018 Global 2000. 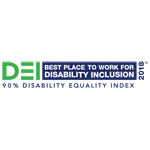 Quest Diagnostics is a DiversityInc Noteworthy Company for the second consecutive year. Quest Diagnostics among 2017 Newsweek Green Rankings U.S. 500 companies. Quest Diagnostics is among FORTUNE® Magazine's 2017 FORTUNE 500® companies. Quest Diagnostics among Forbes® 2017 America's Top Public Companies.